Dr Seago is Director of City's Translating Popular Culture MA and Programme Director of the PhD Translation Studies. She holds an MA in English and German (Erstes Staatsexamen, Germany) and a PGCTS (Zweites Staatsexamen, Germany). She gained an in MA Comparative Literature from Manchester University and a PhD in Translation from London University. She is a Fellow of the Higher Education Academy and has been appointed to the European Commission List of Experts (Translator Education). Dr Seago teaches translation theory and genre conventions on the MA Translating Popular Culture and supervises dissertations. She has five PhD students working on topics related to translation curriculum development, corpus analysis and translation of children's literature. Dr Seago sits on the editorial board of the Journal of Specialised Translation and on the Executive Committee of the British Comparative Literature Association. She manages the Dryden Translation Competition at City University for the British Comparative Literature Association and the British Centre for Literary Translation. 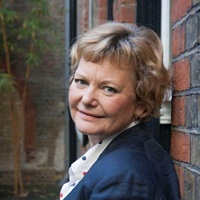 Dr Seago's main research interests are in literary translation and comparative literary studies and she has published widely on folk and fairy tales, feminist and literary revisions of fairy tales, especially in the work of Angela Carter, and on the reception / translation of Grimms' Fairy Tales in England. Her main focus is on the translation of cultural products which are particularly expressive in the way they engage with questions of national identity and cultural specificity. Genre literature, especially children’s fiction and crime fiction, occupy a peripheral role in the literary canon, but at the same time they are the texts with the highest volume of translation and are also the texts which demonstrate a higher percentage of translation into English than canonical literature. As such these texts lend themselves particularly to an analysis of the construction of culturally relevant meanings, the migration of culture and the processes of cultural transfer, transmediality and genre. Dr Seago's focus is specifically on that which is specific to crime fiction: its genre conventions, structure and thematic concerns and how these impact on and crucially shape translation strategies. Linked to the question of what is specific to crime fiction and its translation is an investigation of how conventions have developed historically, how they differ in specific cultural and linguistic environments and to what extent they adapt in cultural and linguistic transfer or influence the receiving culture. This is particularly interesting in relation to markedly different environments. Schenke, H. and Seago, K. (2004). Basic German, A grammar and workbook. Routledge. ISBN 978-0-415-28405-9. McBride, N. and Seago, K. (2000). Target culture, target language? Seago, K. and McBride, N. (Eds. ), CILT Publications. ISBN 978-1-902031-82-8. Seago, K. (2018). Translation (written forms). In Greenhill, P., Rudy, J.T., Hamer, N. and Bosc, L. (Eds. ), The Routledge Companion to Media and Fairy-Tale Cultures (pp. 299–308). New York and London: Routledge. ISBN 978-1-138-94615-6. Seago, K. and Hopkinson, A. (2018). Crime fiction. In van Wyke, B. and Washbourne, K. (Eds. ), The Routledge Handbook of Literary Translation New York and London: Routledge. ISBN 978-1-138-69929-8. Seago, K. (2018). Constrained translation: The case of crime fiction. In Spinzi, C. and Rizzo, A. (Eds. ), Translation or Transcreation? Discourses, Texts and Visuals Newcastle Upon Tyne: Cambridge Scholars Publishing. Seago, K. (2014). Red herrings and other misdirection in translation. In Cadera, S. (Ed. ), The Voices of suspense and their translation in thrillers (pp. 207–220). Amsterdam: Rodopi. ISBN 978-90-420-3822-6. Seago, K. (2013). Transcultural Translation: Let’s Engage. In Steyn, J. and Stamselberg, N. (Eds. ), Breaching Borders: Art, Migrants and the Metaphor of Waste (pp. 123–139). London: IB Tauris. ISBN 978-1-78076-259-3. Seago, K. (2009). Foreword. In Clarke, D. and Rechtien, R. (Eds. ), The politics of place in post-war Germany (pp. ix–x). Edwin Mellen Pr. Seago, K. (2008). Proto-feminist translation strategies? A case study. In Muñoz-Calvo, M. and Buesa-Gmez, C. (Eds. ), New Trends in Translation and Cultural Identity (pp. 165–184). ISBN 978-1-84718-653-9. Seago, K. (2008). Theorising prefeminist translation practice. In O’Sullivan, C. and Kemble, I. (Eds. ), Translation and negotiation (pp. 118–134). Seago, K. (2006). Nursery Politics - Sleeping Beauty, or the Acculturation of a Tale. In Lathey, G. (Ed. ), The translation of children's literature (pp. 175–189). Multilingual Matters Ltd. ISBN 978-1-85359-905-7. Seago, K. (2002). Die dritte Alternative? Interkulturelle Kommunikation und Modern Languages an britischen Universitäten. In Apeltauer, E. (Ed. ), Interkulturelle Kommunikation (pp. 123–137). Narr. Seago, K. (2002). Constructing the Witch. In Blayer, I.M. and Sánchez, M. (Eds. ), Storytelling: Interdisciplinary and Intercultural Perspectives (pp. 72–85). Peter Lang Publishing. Seago, K. (2001). Shifting Meanings: Translating Grimms’ Fairy Tales as Children’s Literature. In Desblache, L. (Ed. ), Aspects of specialised translation La Maison Du Dictionnaire. ISBN 978-2-85608-165-5. Seago, K. (2000). Literature: Western European. In Kramarae, C. and Spender, D. (Eds. ), Routledge International Encyclopedia of Women's Studies Routledge. ISBN 978-0-415-92088-9. Seago, K. (2000). Shifting Targets: Language, Culture, Interculture. In McBride, N. and Seago, K. (Eds. ), Target culture, target language? Current Issues in Language Teaching in Higher Education (pp. 1–16). CILT Publications. ISBN 978-1-902031-82-8. Seago, K. (1996). Intertextuality and the Fairy Tale' in Angela Carter's The Bloody Chamber. In Gender, U.O.N.L.C.F.R.I.E.A. and Thomas, L. (Eds. ), Identity, gender and creativity: Women's Writing in Germany, France and Britain (pp. 83–90). UNL Press. ISBN 978-1-85377-214-6. Seago, K. (1995). Developing Grammatical Skills for Language Learners. In Assiter, A. (Ed. ), Transferable skills in higher education (pp. 156–162). Routledge. ISBN 978-0-7494-1550-1. Seago, K. Von Oberon zu Dobby, von Titania zu Beauty – Literarische Interpretationen von Elfen im angelsächsischen Raum. Märchenfiguren in der Literatur des Nord- und Ostseeraumes (pp. 155–173). Baltmannsweiler: Schneider. Seago, K. (2010). Hybridities. Hybridities September, IGRS London. Seago, K. and Desblache, L. (2010). ‘Hybridities’. Hybridities September, IGRS London. Seago, K. (2008). Teaching and Researching in Translator Training and Education. Teaching and Researching in Translator Training and Education July, London Metropolitan University. Seago, K. and Desblache, L. (2004). Literary Beasts. Literary Beasts London. Seago, K. and Desblache, L. (2004). Literary Beasts. London Metropolitan University. Seago, K. and Rechtien, R. (2000). Dis/closures. Women in German Studies, Annual conference, Myths: Old and New University of Edinburgh. Seago, K. (1999). Writings and Re-writings: Folklore, Fairy Tales and After. Writings and Re-writings: Folklore, Fairy Tales and After Dartington. Seago, K. (1999). Aspects of Specialised Translation. Aspects of Specialised Translation University of North London. Seago, K. (1999). Writings and Re-writings: Folklore, Fairy Tales and After. Dartington. Seago, K. (1998). Formations of Identity. Formations of Identity University of North London. Seago, K. (2018). Translating violence in crime fiction. Perspectives: Studies in Translation Theory and Practice, 26(6), pp. 916–929. doi:10.1080/0907676X.2017.1407347 . Seago, K. and Rizzo, A. (2018). The aesthetics of migration: Reversals of marginality and the socio-political turn. InVerbis, 8(1), pp. 7–32. doi:10.7368/91217 . Seago, K. (2017). “Philip Marlowe in drag?” – The construct of the hard-boiled detective in feminist appropriation and translation. Ars Aeterna, 9(2), pp. 39–52. doi:10.1515/aa-2017-0008 . Seago, K. (2016). Reading, Translating, Rewriting: Angela Carter's Translational Poetics. TRANSLATION STUDIES, 10(1), pp. 104–107. doi:10.1080/14781700.2016.1147375 . Seago, K. (2014). Introduction and overview: crime (fiction) in translation. The Journal of Specialised Translation, 22, pp. 2–14. Seago, K. (2014). The Ninth Art: A review of Comics in French. The European Bande Dessinée in Context. The Comics Grid, 4(1). doi:10.5334/cg.al . Seago, K. and Lei, V. (2014). ‘Looking East and Looking West’: Crime Genre Conventions and Tropes. Comparative Critical Studies, 11(2). Seago, K. and Desblache, L. (2012). Hybridities. Comparative Critical Studies, 8 or 9. Seago, K. (2012). The Grimm Reader: The Classic Tales of the Brothers Grimm. MARVELS & TALES-JOURNAL OF FAIRY-TALE STUDIES, 26(1), pp. 113–115. Seago, K. and Armbruster, K. (2005). Literary Beasts. Comparative Critical Studies, 2(3). Seago, K. (2005). Aspects of gender in translations of “Sleeping Beauty. Translation, Transformation and Reception, Comparative Critical Studies, 2(1), pp. 23–43. Seago, K. (2003). What’s in a title? A bibliographical study of the marketing of Grimms’ fairy tales in English translation in the nineteenth century. New Comparison, A Journal of General and Comparative Literary Studies, 35/36, pp. 100–120. Seago, K. (2001). Writings and Re-writings: Folklore, Fairy Tales and After. New Comparison, A Journal of General and Comparative Literary Studies, 31. Seago, K. (2001). Twelfth night customs and traditions. New Comparison, A Journal of General and Comparative Literary Studies, 31, pp. 130–137. Seago, K. (1999). Some Aspects of the English Reception of the Grimms’ Kinder- und Hausmärchen in the Nineteenth Century. Zeitschrift für Kultur- und Bildungswissenschaften, 7, pp. 41–58. Seago, K. (1999). New Wine in Old Bottles? : Angela Carter’s Bloody Chamber of Revisioned Fairy Tales. Métaphore, 26, pp. 7–98. Seago, K. (1999). Let Sleeping Beauties Lie? On the difficulties of revisioning the tale. Legenda: Reading and Writing Myth. New Comparisons, A Journal of Comparative and General Literary Studies, 27/28, pp. 98–117. Seago, K. (1999). Grammar and Hypertext: Building Blocks of L2. JITTE, 8(2), pp. 181–198. Seago, K. (1997). Bridging the gap: grammar as hypertext. ReCALL, 9(2), pp. 17–25. Seago, K. (1996). The A to Z of Grammar - an integrated CALL project. Computer Assisted Language Learning, 9(1), pp. 45–61. Seago, K. (1996). Nursery Politics - Sleeping Beauty, or the Acculturation of a Tale. New Comparisons, A Journal of Comparative and General Literary Studies, 20, pp. 14–29. Seago, K. (1998). Grammar Revisited..
Seago, K. (2000). The Oxford Companion to Fairy Tales, The Western fairy tale tradition from medieval to modern. Seago, K. The Grimm Reader, by Maria Tatar / Review. Seago, K. Plenary lecture series in Translation, City University. Seago, K. Annual Research Seminar series. Seago, K. Profiling the translation industry. Seago, K. Formations of Identity. Kafka’s Wound. City University London, The Space, www.thespace.org (2013). Rhetorical misdirection in detective stories. University Macau (2012).